OS X Yosemite, the best Mac operating system yet. Apple's SVP of Software Engineering, Craig Federighi, has confirmed that OS X Yosemite will be available to download from today from the Mac App Store. At the time of writing, Apple's page hadn't been updated to confirm this and still says "coming this fall". The operating system, which replaces Mavericks, will be free to download and features a completely redesigned user interface as well as some nifty cross-platform functionality - Continuity - that allows you to seamlessly transition between your iPad, your iPhone and your Mac. Apple's iWork has also been updated and will be available for free with the new OS. A new version of Safari is also expected to boost battery life significantly as well when used in conjunction with the new OS. The Apple event, which is taking place in Berlin, saw the launch of a new iPad Air 2 as well as a new version of its mobile OS dubbed iOS 8.1 which will be compulsory should you want to use Continuity features. 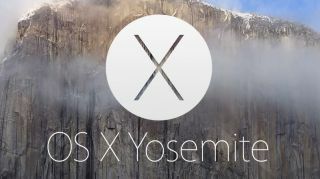 Check out our hands-on review of Yosemite here.